Volunteering is a rewarding way to enhance your life, a great way to give back to the community. It's also an opportunity to make new friends in Banff. Several volunteer opportunities are listed below, or check the Community Resource Directory in the Volunteer Opportunities category for more.
. More info about the bike. Become a mentor to an elementary or high school student. You only need to commit one hour per week during the school day to help make a positive difference in the life of a young Banffite. Banff Elementary School's Mountain Readers is looking for volunteers to spend 1 hour per week with students to help improve reading skills. If you have lived in the Bow Valley for long enough to become comfortable and connected in the community, consider volunteering your time to support new community members. Dedicated volunteers are needed to help provide hot meals at lunchtime to those who are unable to access or prepare adequate meals for themselves. If you love to hunt for bargains and are committed to recycling previously loved items, volunteering at the Banff thrift store could be the place for you. The Bear Minimum is a single-use plastic awareness group started here in Banff, looking to help the community and businesses reduce their waste! Are you interested in protecting the environment? Do you love hiking? Why not volunteer while engaging in both? If you’re interested in wildlife and public safety, take a look at the volunteer opportunities offered by Bow Valley Wildsmart. Whether you are an individual, couple or family, local or international*, or part of a larger group visiting Banff National Park, you will find mountains of opportunities. This program helps support high risk, low income moms in the Bow Corridor. Therapeutic Riding is a form of therapy using horses to help persons with intellectual or physical challenges. Banff throws a big downtown street party to celebrate the new year. This family-friendly event is jam-packed with street entertainment, activities, games, campfires, food booths, storytelling, music and much more. 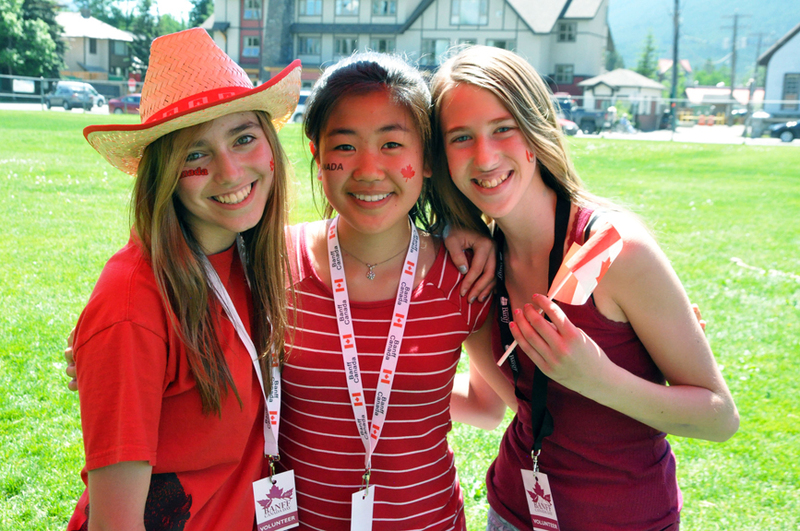 Canada Day is the biggest celebration of the year in Banff. Help us make July 1 extra special by volunteering with the Green Team at a recycling station, the pancake breakfast, bouncy castles or crowd control. Mountain Madness is is a multi-sport relay race held every year in January. Contact Sheila Snowsell for volunteer information 403.762.5728. A charitable organization that empowers women, girls and our community through leadership development, advocacy and the provision of relevant programming and services. Apply for a Town of Banff committee and share your skills and passion with the community. Anyone who lives in Banff and is 18 or older can apply. Volunteer with BanffLIFE, an organization with programming and events for 18-30 year olds. Canada Revenue Agency trainers provide instruction to volunteers who are willing to help file returns for members of the community requiring assistance. Special attention is given to preparing basic returns for eligible seniors, service industry workers and persons with disabilities. If you're expecting a newborn between June 15 and August 15, please consider volunteering for Roots of Empathy. Santa's Anonymous is a community-based program in Banff and Lake Louise that helps those in need during the holiday season. The Snow Angel program pairs volunteers with those needing help clearing their driveways and sidewalks in winter. The Volunteer Driver Program will provide transportation for seniors and persons with disabilities to medical appointments in Calgary, Canmore and Banff.